Animals are often the victims of abuse and exploitation in many forms. Horses, for example, are some of the most majestic animals, but because they are large they are often pushed to work harder than they should be. 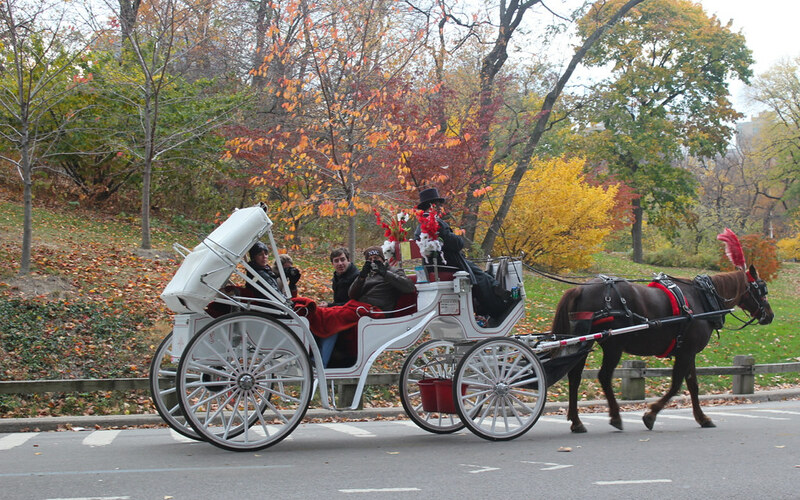 The long-standing tradition of using horses to pull carriages, especially in New York City, is one of the ways horses are pushed beyond their means. Somehow “tradition” becomes an excuse for this practice. Not all traditions are worth keeping, especially when the health of an innocent animal is compromised. The images below show the burden this tradition can bear on a horse. Over Labor Day weekend, a man named Bogdan Paul Angheluta was leaving a nightclub at 2 a.m. When he walked out he saw a driver encourage his horse to move quickly to make it through a green traffic light before it changed. The horse, unable to keep up with the pace, collapsed on his side. Witnesses say the horse laid for 20 minutes before he was able to get up, and was only able to stand with the assistance of a group of men from the Clinton Park Stables. A witness stayed with the horse throughout the experience, and sent pictures to NYCLASS, an animal welfare organization, which in turn contacted the NYPD. Flip through the slideshow below to see photos from the incident.